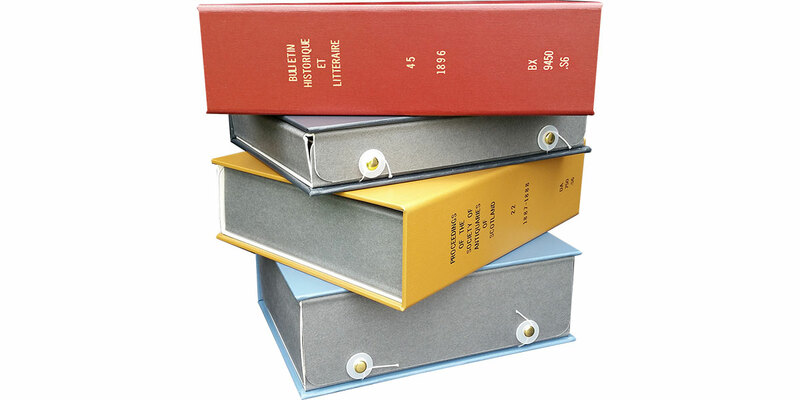 Phase boxes are archival boxes used to effectively and economically protect brittle or deteriorated volumes. 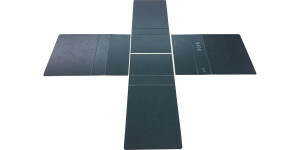 They are a custom made, four-flap enclosure available in grey/white or tan barrier board. They can be closed with ties or hook & loop buttons. 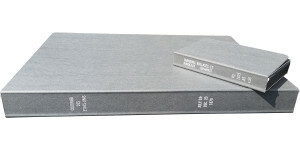 Titling is foil stamped directly onto the board. Phase boxes are available in standard and deluxe versions. The minimum thickness for phase boxes with ties is 1/2″. The minimum thickness for phase boxes with hook & loop buttons is 3/8″. Every phase box is handmade to fit each individual item perfectly. Email us the measurements using our convenient order spreadsheet. Worried about measuring your items correctly? View our Tips on Measuring, or contact us to arrange shipment of your items to our facility so we can do the measuring for you! While there have been boxes that are too big or too small for us to make, we rarely run into that problem. Even items that are larger than our sheets of board can be pieced together. Additional fees may apply for these monster boxes, but we love a challenge! We use acid and lignin free solid core barrier board to construct our phase boxes. Our PVA adhesive meets library binding standards for long term stability. The tight fit of the phase box helps protect items from exposure to light and harmful pollutants. 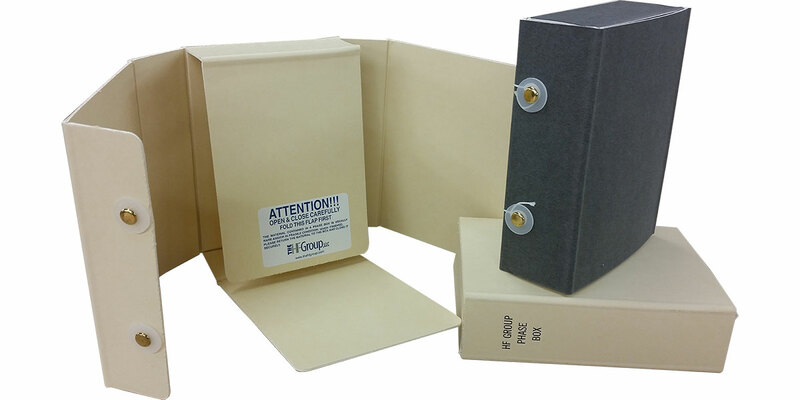 The solid-core grey/white board used in our phase box product is made from non-groundwood pulp. It is lignin-free with an 8.5 pH and 3% calcium carbonate reserve. 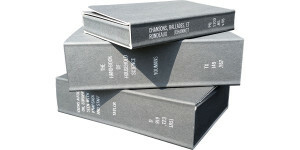 It has passed the Image Permanence Institute’s Photographic Activity Test (PAT), (ISO Standard 18916), and is safe to use with photographic albums. For an additional cost, acrylic coated grey/white board is also available. The solid-core tan board used in our Phase Box product is made from fully bleached virgin kraft pulp. It is lignin-free with an 8.5 pH and 3% calcium carbonate reserve. It has passed the Image Permanence Institute’s Photographic Activity Test (PAT), (ISO Standard 18916), and is safe to use with photographic albums. Colorfast and fade-resistant pigments give this board its color. 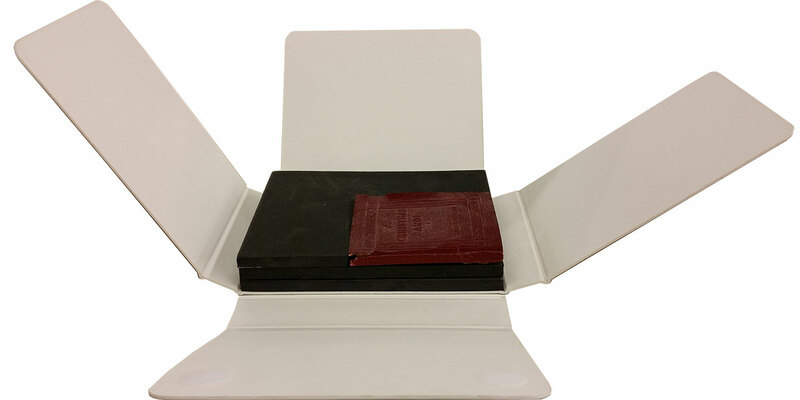 We offer additional options to provide full protection for your valuable items. The foam build ups can be added to support items that are too thin or are uniquely shaped. 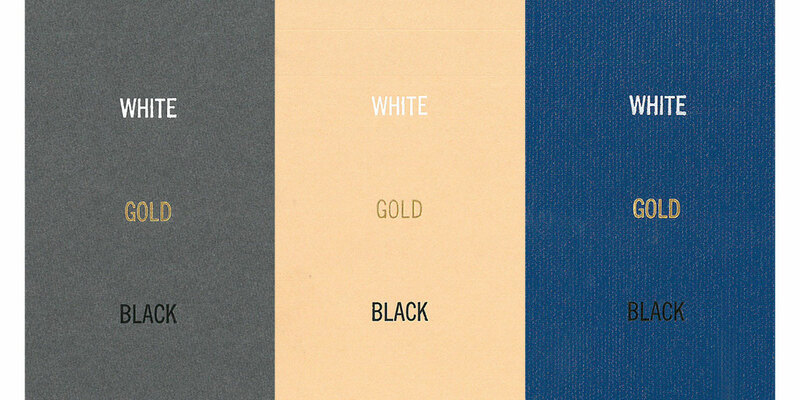 Standard foil stamping is available in black, white or gold. Additional colors and fonts available via our special print upgrade. 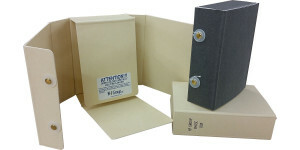 An acid-free, high-density binder’s board case provides additional protection for items enclosed in phase boxes. The deluxe phase box upgrade is available for all board and closure style combinations. 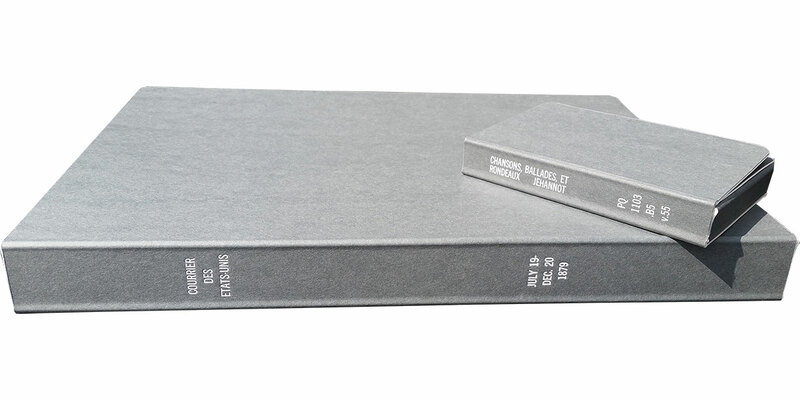 The standard case is covered in durable F grade buckram. 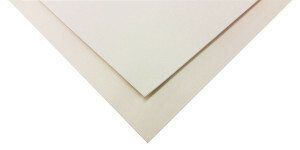 Natural finish bookcloth is available for an additional charge. 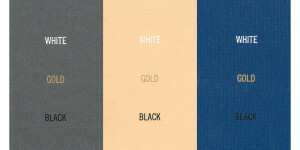 View our color selection. 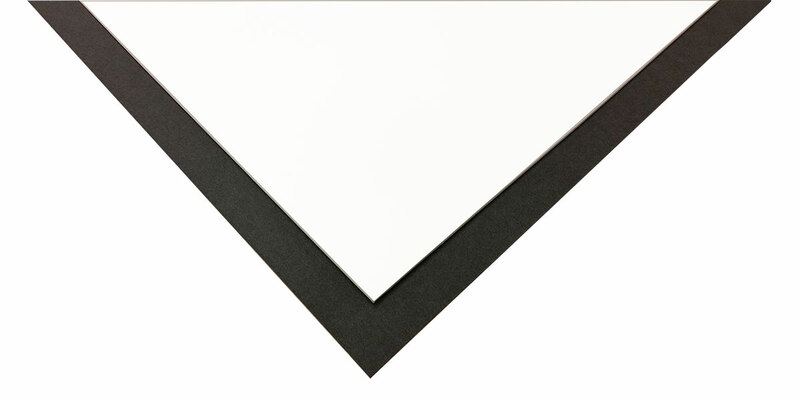 The inside of the case is lined with black C-cloth.